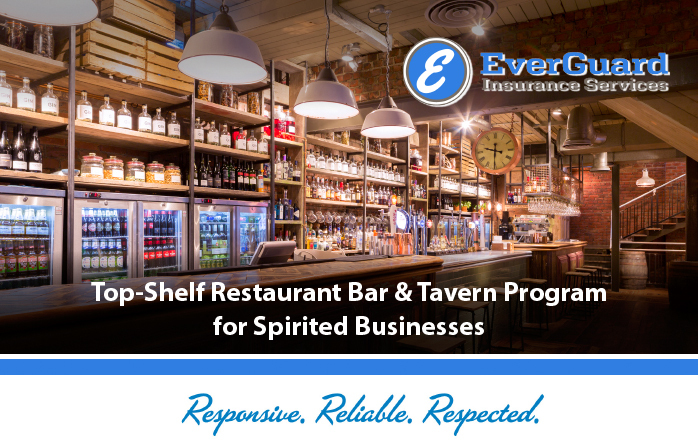 EverGuard in Seattle, WA has been a market leader in providing a superior program for restaurants, taverns & bars for 40+ years in 38 states. We understand the specialized coverages required to assure your clients that they’ll be protected from the potential risks associated with the alcohol service business. Yes, our program includes essential A&B coverage.